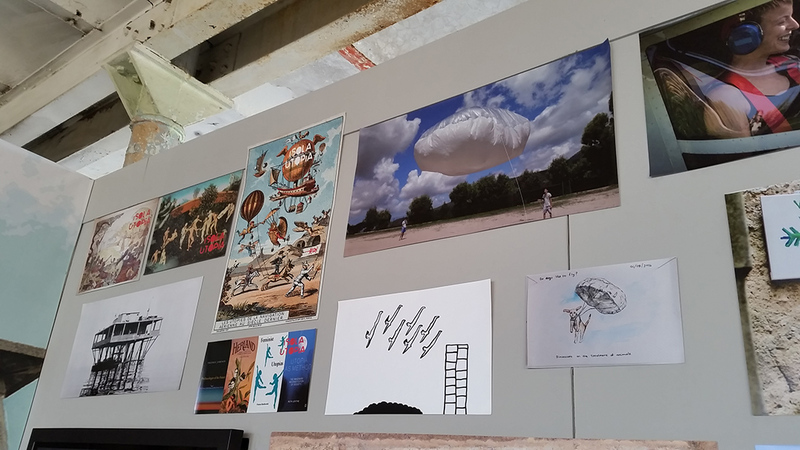 “Survival Kit 6”, mostra d’arte contemporanea e “Urban Utopia: Art and Culture as a Tool for Exploring and Researching a City”, simposio. Ex ‘Boļševička’ fabbrica tessile a Ganību dambis 30, Riga. 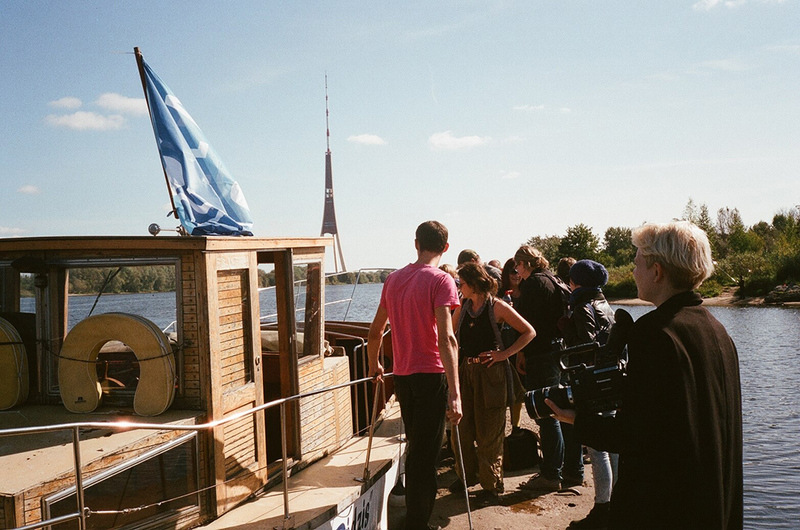 Quest’anno il festival fa parte del programma “Rīga 2014 Capitale Europea della Cultura”. 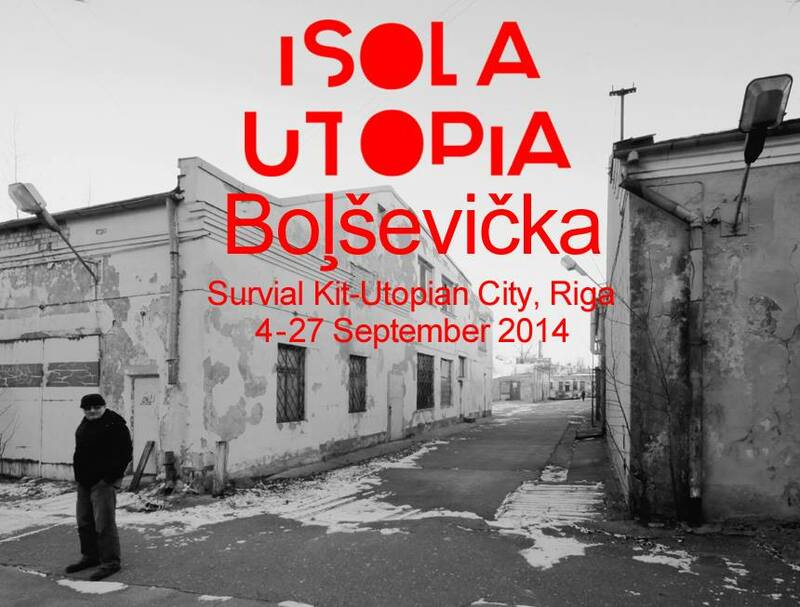 Isola Utopia, Survival Kit 6-Utopian City, Riga, Lituania. Banner Bert Theis. Establishments support dominant ideologies, which in return ignore the existence of alternative options. However, each territory ‘knows’ the existence of interspace, fault or niche. 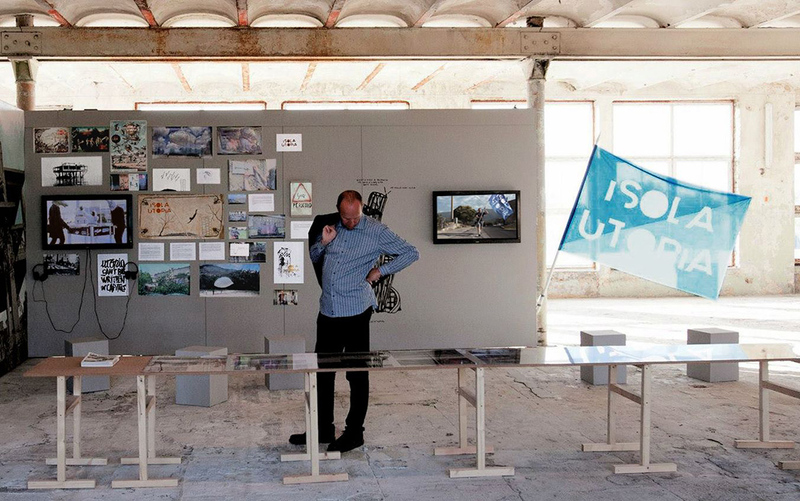 A topos respecting the existence of alterity, a space where rules and norms disappear or change, where a city’s reality is transcended by illusion and dreams, a world proposing and fostering alternative ideologies, social and cultural experiments, a society that creates awareness about its subcultures, supports its heterogeneous, manifold, heterotopian existence. 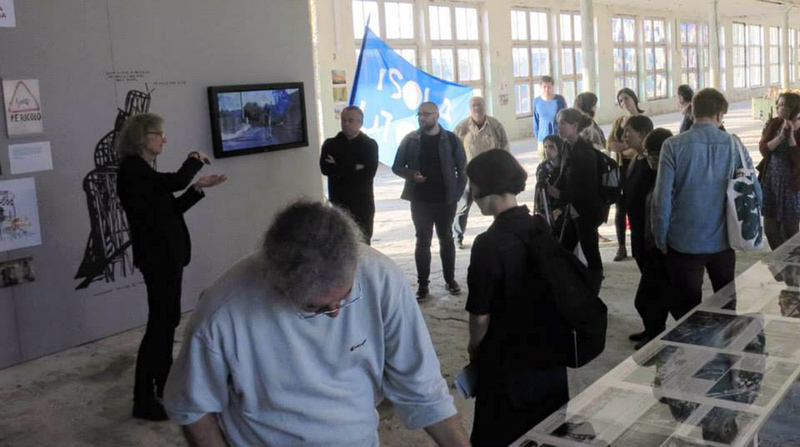 The symposium will gather international and local theoreticans and activists to embrace the complexity of urbanity and bring more light to the jungle of Utopia, Topos, Heterotopia, Dystopia. 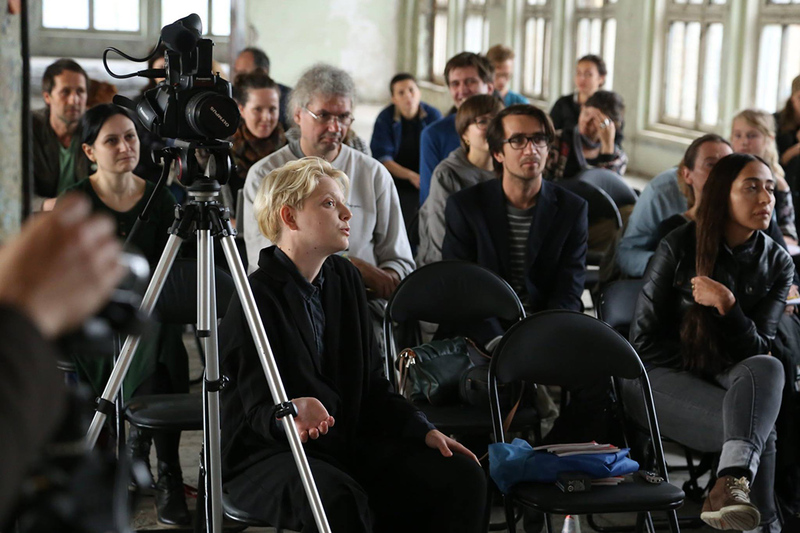 Joseph Imorde (art historian, Germany), Catalina Niculescu (artist, Romania), Charles Bourrier (social designer, Latvia), Airi Triisberg (art activist, Estonia), Karolina Keyzer (Stocholm’s chief city architecht, Sweden), Iliana Veinberga (art historian, Latvia), Bert Theis (artist, Luxemburg), Jekaterina Lavrinec (researcher, Lithuania), Joachim Otto Habeck (social anthropologist, Germany), Ania Szremski (curator, Egypt), The Strelka Institute (multidisciplinary educational project, Russia). 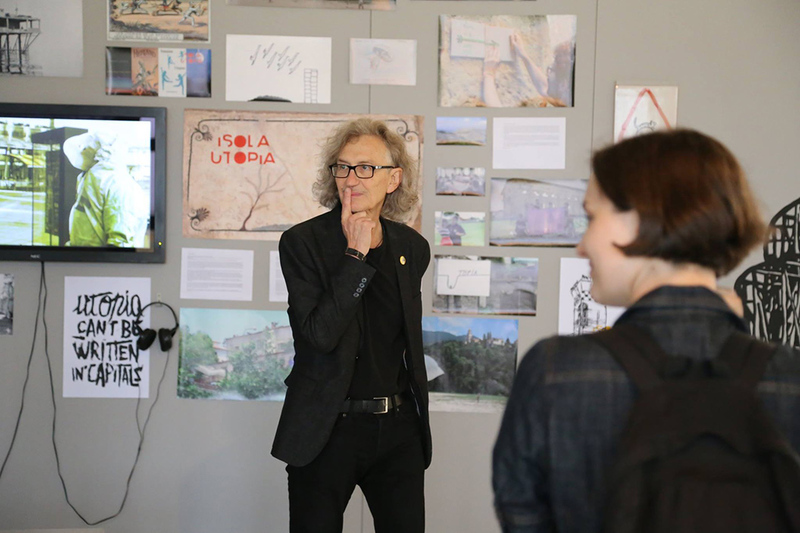 Bert Theis, symposium: Urban Utopia: Art and Culture as a Tool for Exploring and Researching a City. 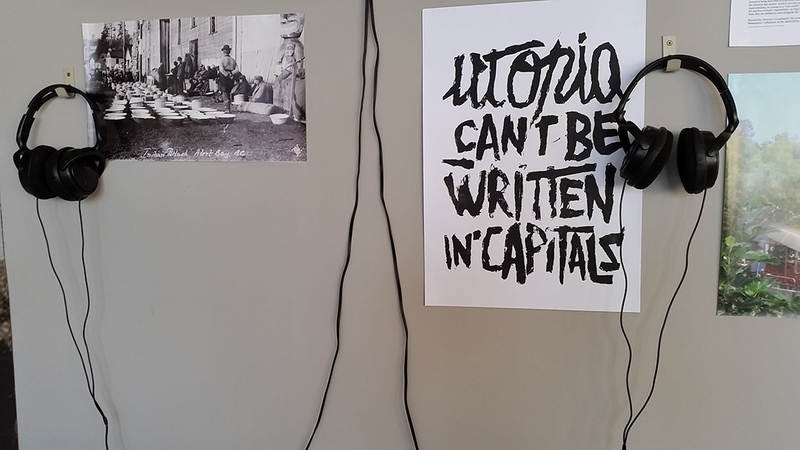 Isola Utopia in Riga, September 2014, Survival Kit 6 simpozijs “Urbānā utopija”. Foto Līga Lindenbauma.